There is no doubt in my mind that the duty free in Vientiane between Laos and Thailand is the best place to buy wine in the area. Thailand has high taxes on wine. 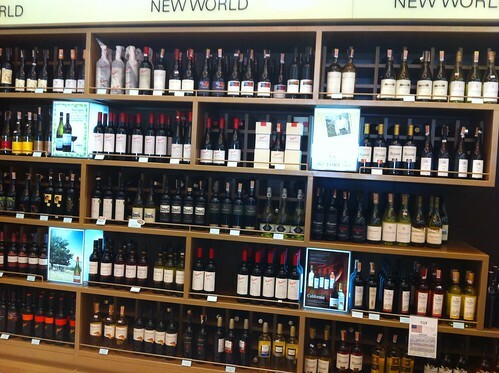 That duty free has a good selection and you pay half the price, almost of Thailand. But if you go in Laos and you are a foreigner, you must pay the Laos visa. Thai people can cross for 3 days and pay less than 100 baht. My wife often does it and bring me good stuff.... and cheap! I believe there is a limit of 2 bottles of wine per person per trip, but I am not sure. Here are some pictures, but there are MANY shops now in this area. Much better than few years ago.